CANYON, TX (KFDA) - Runners hit the trails to pay tribute to military service members and veterans, both past and present. America - Celebrate, Honor & Serve organized the event and board member, Johnny Cobb said the flag run specifically honors Marine veterans who fought in the Battle of Iwo Jima during World War II. 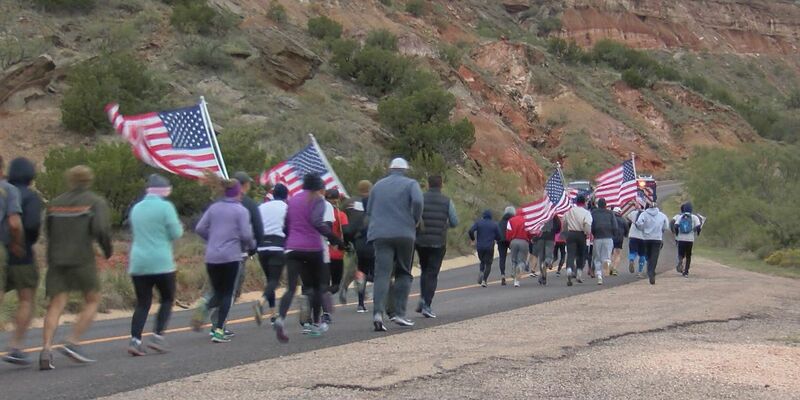 Those who participated ran to the top of a mesa in Palo Duro Canyon, resembling the famous flag-raising that took place on Mount Suribachi. Proceeds from the event will go to benefit Panhandle Wounded Warriors. Cobb said the run is a way to remember the important history of those who died for our freedom. He hopes to expand the event to more people who wish to participate in the future.